Poly-Plus is one of the finest, long-lasting hi-tech polymer paint sealants available. The product is a unique blend of polymers, Zonyl and resins that forms a durable protective coating for paint within 24 hours of application. 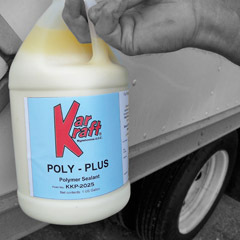 Poly-Plus is easily applied by hand or orbital polisher leaving an unbeatable shine on all types of paint finishes.